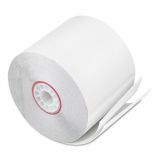 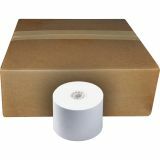 PM Company Impact Printing Carbonless Paper Rolls, 2 1/4" x 90 ft, White/White, 50/CT - Carbonless, two-ply, multicopy rolls produce clear imprints on both copies. 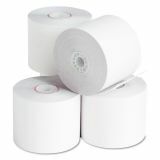 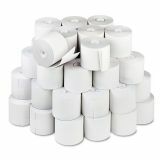 Each roll offers an easy-open closure and red end-of-roll warning stripe. Both copies are white.